Included file and removable media protection secures network file shares, USB drives, DVDs, as well as protection for storing data in the cloud. 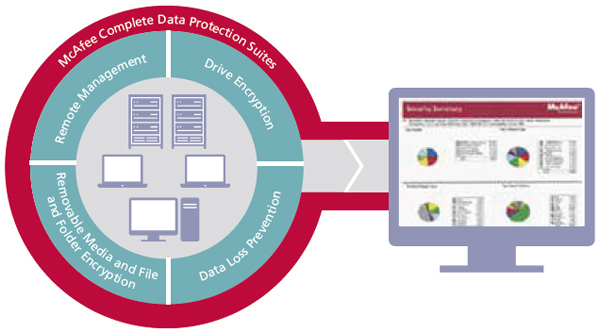 Helps you establish and enforce data protection policies while centralizing data security management using the McAfee ePolicy Orchestrator (McAfee ePO) management console. 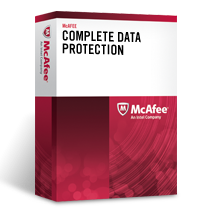 Protect data on removable media such as CD, DVD, and USB flash drives. Control the types of files and folders to encrypt or block. Encrypt files to cloud storage services such as Box, Dropbox, Google Drive, and Microsoft OneDrive. Use comprehensive dashboards in the McAfee ePO management console to demonstrate security compliance to auditors and other key internal stakeholders.